You don’t have to want to live “off the grid,” or in some 60 square foot tree house in order to qualify as someone who is genuinely interested in helping the environment. The fact that some people choose to live that way is commendable, but people who don’t opt for that lifestyle can still honor the spirit of Earth Day. Little things can be done that don’t cost much and can mean a lot, environmentally speaking. Isn’t that what Earth Day was created for? Put rain barrels under your gutter downspouts. The water saved can be used to water potted plants and landscaping. Inside, think about a tankless water heater; beef up skimpy attic insulation, and caulk around windows and doors to eliminate leakage of heating and cooling. At Solar-X of Sarasota, we’re inclined to recommend an installation of carbon-negative SolarGard® or Panorama® window film. These high quality energy-saving products can reduce your air conditioning bill by 30% and more. Reduced energy consumption means reduced production at the power plant, and that means fewer greenhouse gases. Did you know that the production of one kilowatt of electricity in a coal-fired power plant produces one kilogram (2.2 pounds) of carbon? Look at your next electric bill and see how many kilowatts you used. SolarGard® and Panorama® window films are affordable. They can be installed almost immediately, with little or no disruption. They will give you a better return on your investment than low-e glass, and their long life span means they will keep on giving you positive return for years to come. They will improve the comfort of your environment, and protect you and your family from harmful ultraviolet light. 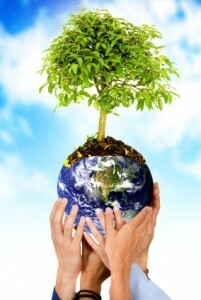 They are a perfect way to honor Earth Day 2011. Solar-X of Sarasota is proud to represent a manufacturer whose record of environmental stewardship is unimpeachable. 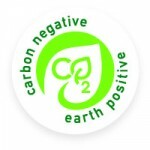 Recognized as a “Climate Action Leader; first to perform a complete life cycle analysis of its products; first and only window film manufacturer to achieve an Environmental Product Declaration – the largest and most complete of its kind ever performed! This Earth Day do something for “Mother Earth,” and yourself. Take a step toward helping the environment, and save some money at the same time. Contact Solar-X; Sarasota’s premier residential and commercial window film contractor, for a free no-obligation consultation. 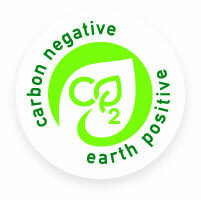 Learn what our ‘Carbon-negative, Earth Positive” products can do for you.